: I was six years old. 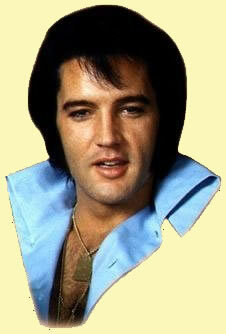 "My Message to Elvis": Even to this day you make me laugh,smile and cry. : Watching TV. And saw them interrupt the program to announce it. : The man loved what he did. : Yes I have been there about 15 or 16 years ago. I want to go back. :: I was born poor in Tupelo Mississippi. My parents weren't sure how they were going to feed me. My daddy was a sharecropper, my momma did odd jobs. But when I got older and moved to Memphis, I became the King of Rock. In the 50's they didn't want me to move my hips, they said "Elvis all we want you to do is move your lips." In 1958 Uncle Sam said "Come on Mr. Presley I think you will be a great man." Later is 58 my life took a turn, the person I loved the most was called to be with Jesus,it must have been her turn. In 1960 I went back to the Silver Screen, I made movie after movie, singing my heart away. Then came the 68 Special, my fans were calling to me. I was really nervous and scared, I was afraid they had forgotten me. My boy, my boy, was I wrong, the fans still loved me all along. In the 70's, I was Las Vegas bound, did concert after concert and went from town to town. In the late 70's, I was working and dragging myself down. My fans even though I loved them ,were following me around. I had not personal life, it had became a mortal Hell. Things had to change for me, I knew it in my heart. August 16 th came and I had to part. Did I really die, only a few good people know,. One day I could show up singing Love Me, or Hound Dog, and then you all will really know. Thank you for your comment on our survey. Elvis was perfect in every way. The magic is still in his songs, his warmth will flow to each of us, he has left an eternal flame in our hearts and no matter how long he has been gone, his memory will forever live on. Shawn, your letter about Elvis is so well done. I love it! Elvis was such a beautiful man; his smile is enough to drive anyone crazy for him. And as for his voice and personality wow, just a knockout! Thank you Shawn also for your suggestions, it`s always great to hear of new ideas & what his fans have to say.